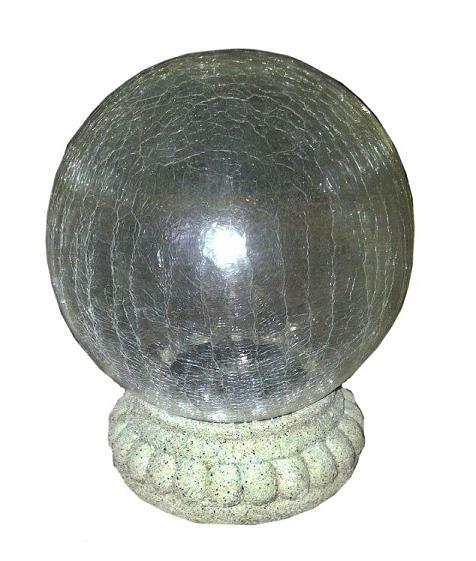 This Crackled Glass Solar Gazing Ball is a fun way to add decorative lighting to a deck, patio or tabletop without increasing the electricity bill. 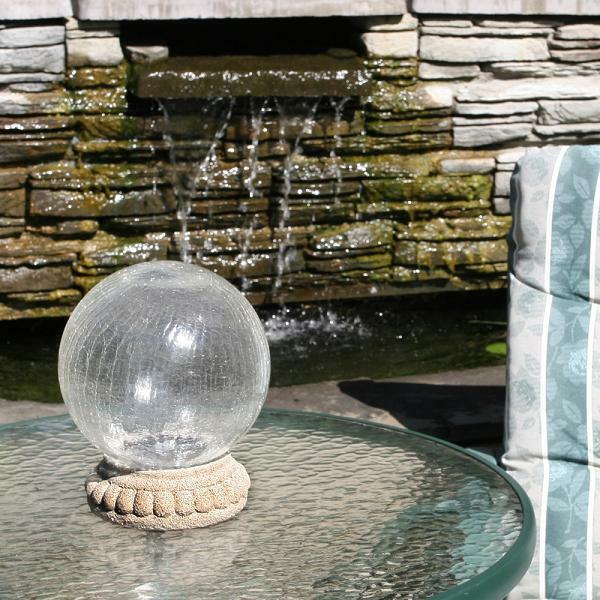 This Crackled Glass Ball is powered by an integrated solar panel, which uses the energy of the sun to recharge its internal batteries so that it can function electricity-free with no operating costs. The ball itself is 8 inches in diameter and sits upon a decorative tabletop base so that it can be displayed upon a flat surface. 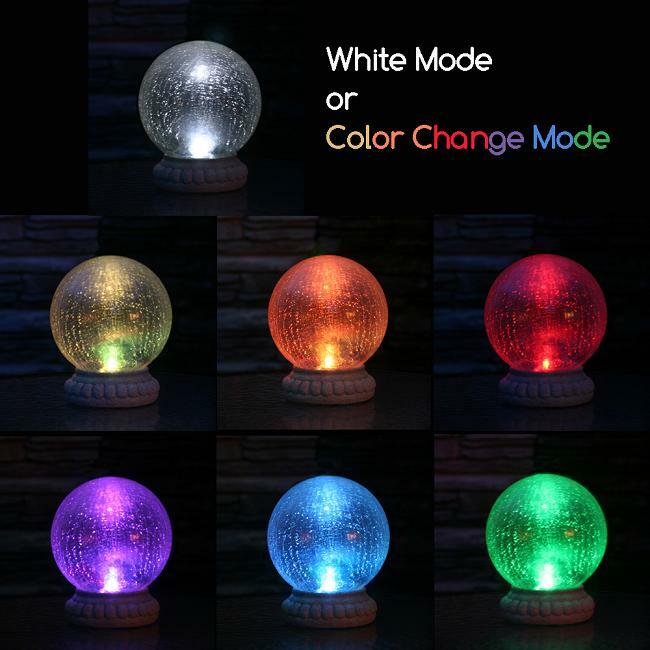 When the ball is lit up it has 2 lighting options, bright white and chameleon. The bright white option will utilize the dual white LED's in the ball and keep it lit up with a standard white glow when turned on. The second option is chameleon mode in which the LED's will cycle through the color spectrum to display a fun variety of colors. Once the lighting mode has been set no more maintenance is needed. 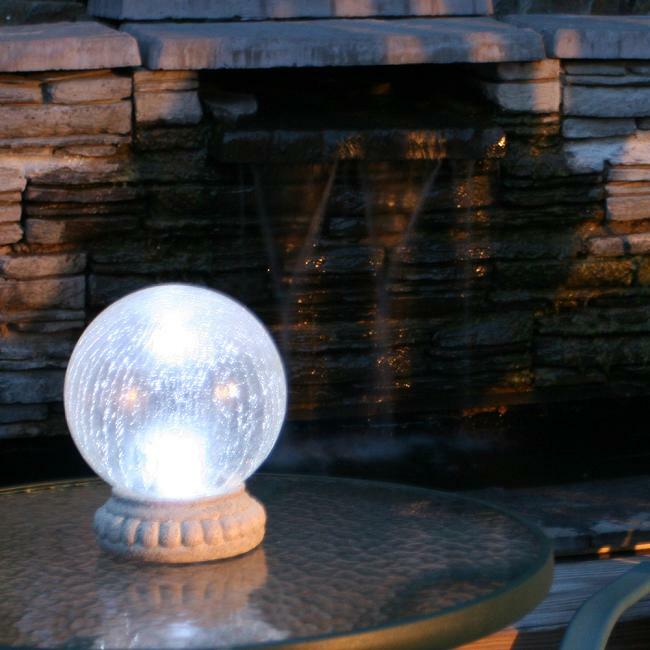 The Crackled Glass Solar Gazing Ball will automatically illuminate at night and stay lit for up to 10 hours depending upon how long it was able to charge in the sun during the day.